Already stressed about what to make for school lunch and how to fit it into your crazy busy morning? 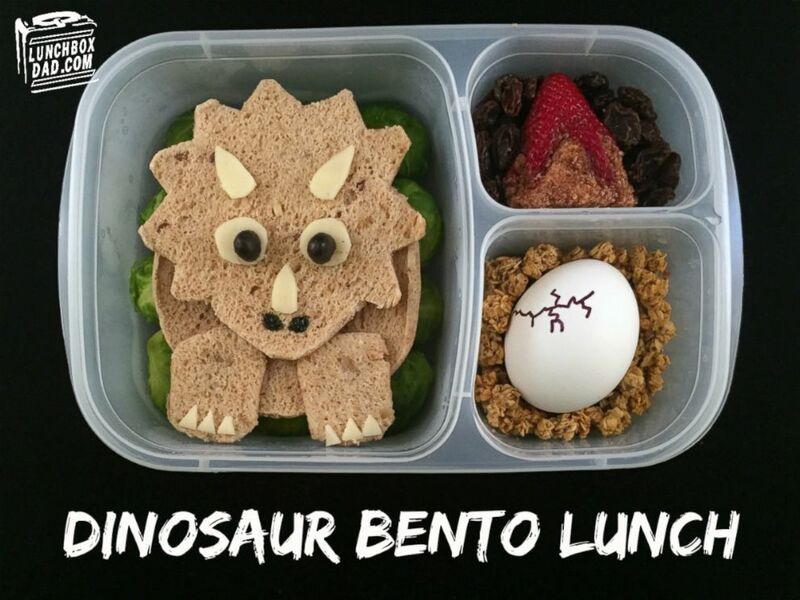 Take a page from Beau Coffron, who is best known as “Lunchbox Dad” for his creative lunchbox creations featuring characters from pop culture for his kids. 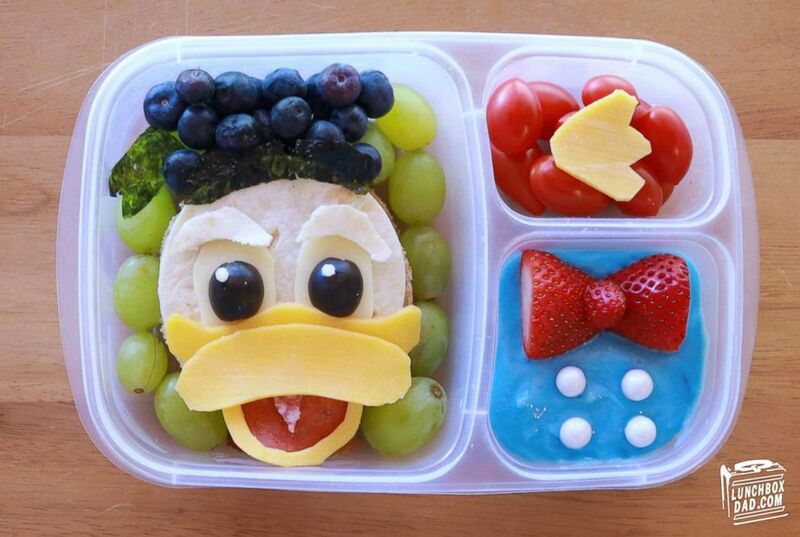 "I can't wait for my kids to go back to school because making these fun lunches for them really helps bring us together and get excited to start each school week," Coffron told "Good Morning America." Lunch Box Dad, Beau Coffron, with his 2 children in this undated file photo. Coffron knows that not all parents have time to build Instagram-worthy bento boxes every day, so he shared ideas to make the lunch packing process more seamless, week in and week out. 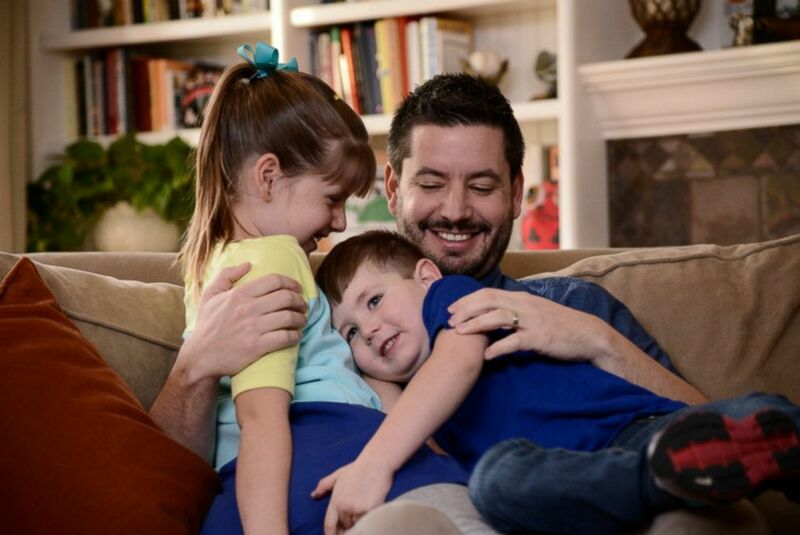 "Starting a new school year not only is the chance to get out of the summer craziness, and into a regular school routine, it also gives me the chance as a dad to let my kids know that I'm thinking about them by making fun school lunches each week," he said. Check out the latest tips and trends below to get inspiration as you prepare for back to school. 1. Prep everything you can at the beginning of the week. Beau Coffron creates beautiful dishes for his kids' lunchboxes and shares his ideas for parents ahead of the new school year. Fresh foods like grapes, melon, strawberries, broccoli, and carrots can all be cut up on Sunday, placed in larger resealable containers, and then quickly used as needed to make a lunch in just a minute. When including items like applesauce or yogurt, put a disposable plastic spoon in there instead of a metal one. Encourage your kids to bring it back, though, so you can wash it and reuse it many times. This way, if they lose it, you are only out a few pennies. 3. For picky eaters give them a choice. If you want your kids to try a wider array of foods, let them choose between two items. For example, they can choose pineapple or a mandarin orange. This way, you can still get them to eat healthier and they get to make the final choice of what makes it in their lunch. 4. Use cookie cutters to easily make sandwiches extra special. Many of us have cookie cutters lying around but did you know that they work on bread, cheese, and entire sandwiches as well? Using a cutter only takes a second to turn a boring piece of bread into a dinosaur, train, star, or football. 5. Dips can be a lifesaver. Try using fruit and vegetables with dips like plain yogurt and honey, humus, or cream cheese. Kids have tons of fun dipping their food and you might be surprised how many healthy items they gobble up at the same time. 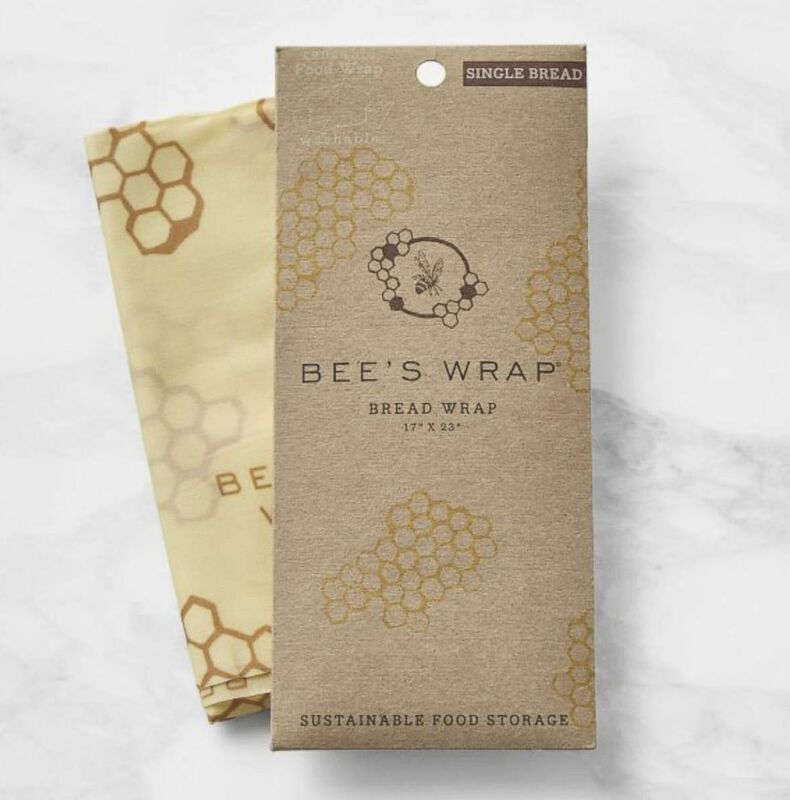 More and more families are going to reusable lunch boxes, water bottles, and even sustainable sandwich wraps instead of plastic bags like this Bee's wrap reusable paper sold by Williams Sonoma. This not only helps to save money long-term, it also helps the environment! Bee's wrap reusable paper sold by Williams Sonoma. These can clip onto lunchboxes or backpacks. They not only help kill germs before lunch, but they also come in fun colors and can also be found in kids' favorite character shapes or even emojis! 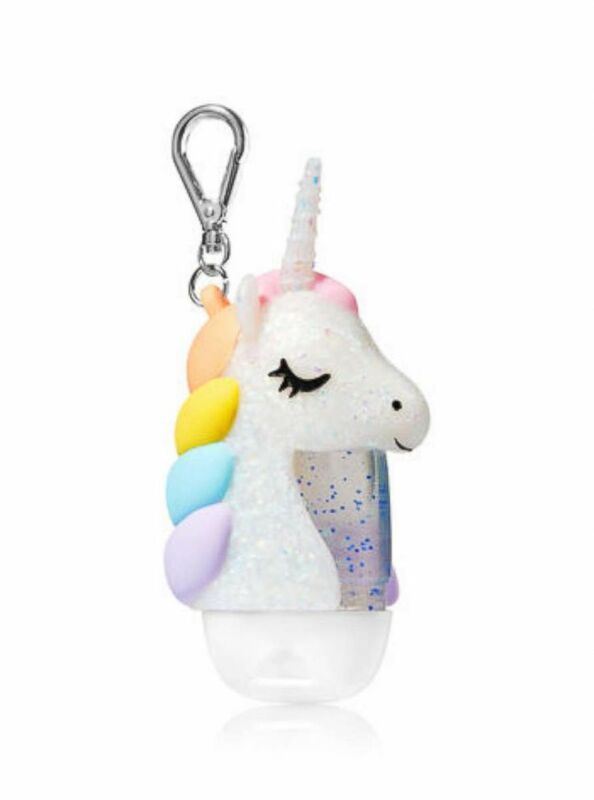 Sparkly Unicorn pocket antibacterial holder from Bath & Body Works. The day of the boring lunch container for teens is coming to a close, because you can now even find them in shapes like books and teens' other favorite things. Lunch Notes only take a minute to write but can let your kids know that you are thinking about them all day. You can even buy pre-written ones with themes like Mickey Mouse, or that have jokes or riddles printed on them. 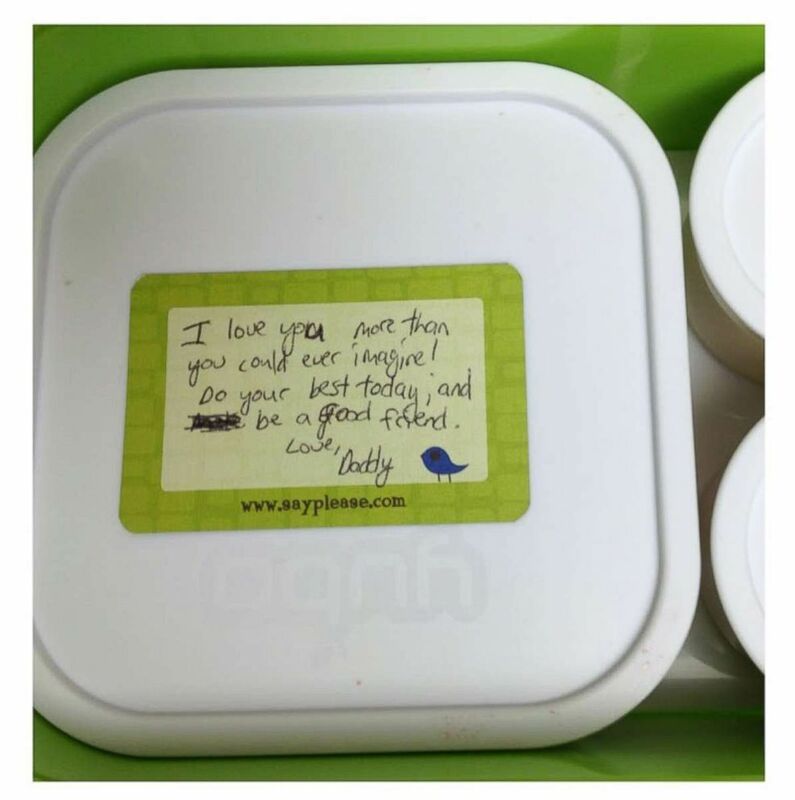 Beau Coffron writes notes for his kids' lunchboxes to add a personal touch. This fall everything can be personalized and it not only looks cool, but it also helps your kids know which water bottle, lunch box, backpack, or notebook is theirs. 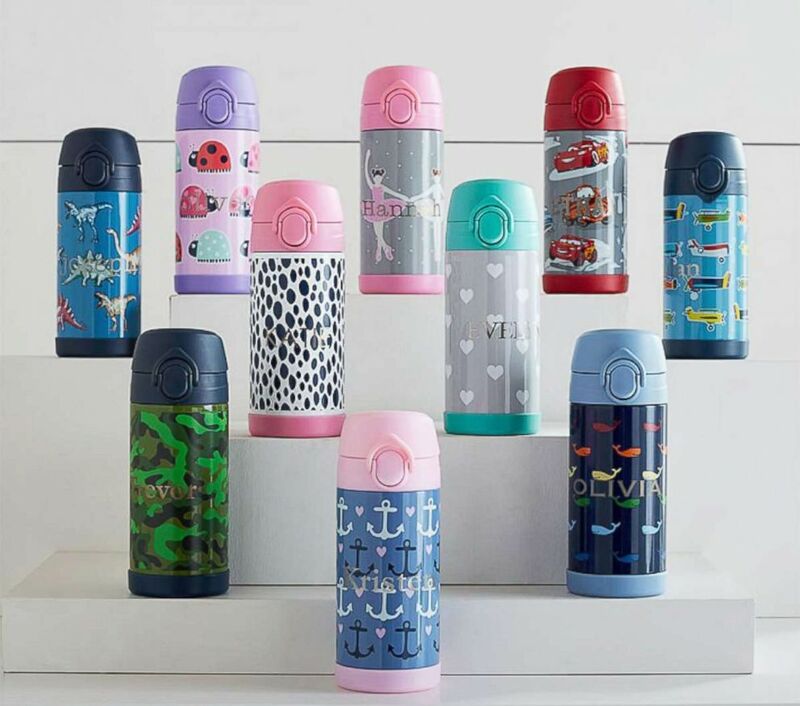 Monogrammed water bottles like these are shown from Pottery Barn Kids. This school year look for food that ups the flavor profile and helps kids experience new foods. For example, instead of the same old tacos, try to mix it up by introducing a little avocado with a citrus salsa twist. It is only a little different and could help expand your kids' palates!